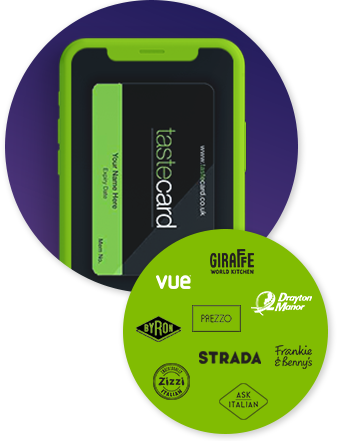 With a digital tastecard membership you'll unlock perks from thousands of restaurants across the UK & Ireland, including 50% off the total food bill, or 2 meals for the price of 1 and even up to 40% off at Cinemas. 50% off the total food bill! This is not just exclusive to one person, all diners in a party can eat and receive a 50% discount, even with just one tastecard member. 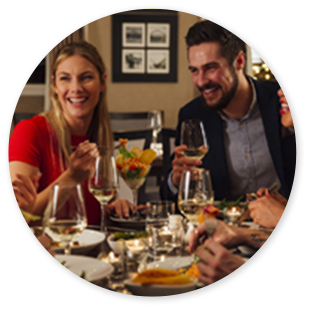 Check with each individual restaurant before booking, as the maximum discount permitted per tastecard can vary. 2 meals for the price of 1! You can now treat yourself and a friend to 2 for 1 on starters, mains & desserts! This is across all the course ordered; the cheapest or the equivalent dish of each course is absolutely free! Do you love saving money on dining out? Well now you can save even more on your day out with up to 40% off cinema tickets with participating Cinemas across the UK. Get fantastic discounts at theme parks and great days out at the UK's top attractions. With up to 50% Off you can enjoy even more perks with tastecard. *Subject to credit check and cancellation or returns. Only Available on O2 Contracts, excludes Sim Only, Sim Free and accessories.